"Are you who you say you are?" asked my bank. "And if so, prove it." "How?" I asked, explaining that the only join between my inner and outer self is my own consciousness and that proof of one is not necessarily proof of the other. "Surely you are not going to take my passport as proof that there is a thinking thing with a memory inside this body?" It seems to me that we don't know as much about ourselves as we think and that poses a problem that should make us more humble. How can we know anything at all if we don't know who or what is doing the knowing? If we don't understand the biological machine that is doing the knowing? How can science investigate the universe before it figures out this mysterious thing which is a human being. Extreme materialists get around the problem by saying that the self - "you" – doesn't exist. You are just so many atoms, a "brain braining" Don't you believe them. And don't believe anyone who says a human being is a simple thing. Here's the proof that my bank really needs - all of it. 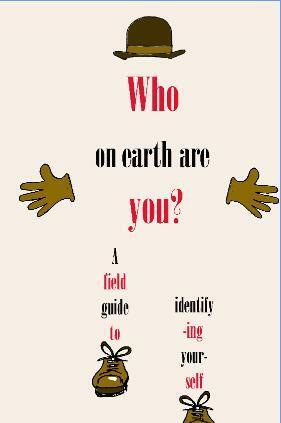 Who On Earth Are You? (Findhorn Press, 2013).